Sometimes known as respite care, a short stay in a care home can be a golden opportunity both for the carer and the cared for person. Here at Chilton House, we have many requests for short stay care and see first-hand just how beneficial these mini breaks can be. If you’re not sure what short stay care is all about, or why you might need it, we’d like to answer your questions here. What is short stay care? A short stay care package is designed to act as a short period of respite, both for the person being cared for and their primary carer(s). We find that many people who are living at home are often cared for by spouses, children or friends, with little opportunity for a break for them. Similarly, the cared for person may feel confined in their home and would welcome a change of scenery. Who is short stay care for? Short stay care is available to anyone who needs it, subject to there being space for them at Chilton House. Often people take up offers of short stay care simply because the cared for person would like a holiday with support; other times the carer requests it because they need some time to recharge their batteries. In some cases, short stay care is recommended due to medical or mobility needs, for example when someone has just been discharged from hospital following illness or an operation. 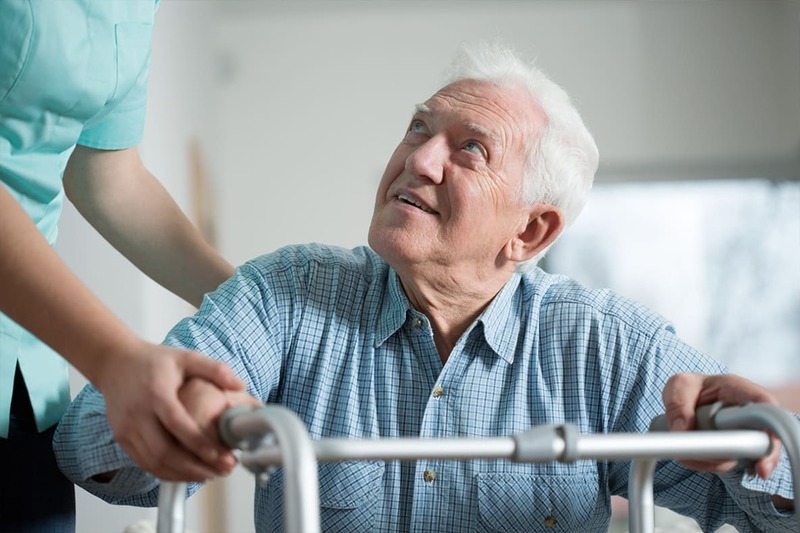 Because we are a professional care home, we have access to equipment and professional expertise that is often difficult to obtain at home and can provide all the necessary support so that the person can recuperate successfully. Some people choose to come to us for a short stay if they are considering moving into a care home in the future. It gives them a great opportunity to see what’s on offer here, what our catering is like and whether they would enjoy the experience. How is short stay care funded? Many people coming for short stay care self-fund, which means they pay for their stay out of their own savings. If your cared for person has been assessed by your local authority and has been deemed to be eligible for care financing, the cost of respite care should be paid for by them. There may also be charity funding available, or NHS funding if they have recently been in hospital. Talk to our team about funding options to see what’s available for you. How can I book a short stay at Chilton House? Chilton House is a perfect place to choose, whether for a period of convalescence or simply for a short break. We have specialist workers available to help with recovery following an operation or illness, particularly for those recovering from joint replacements and other forms of surgery. Our practical, caring approach means recovery is expedited, helping the person return home quickly with all the confidence they need to continue living independently. For those who are looking for a short break, we have enjoyed some wonderful experiences with our short stay residents. We aim to create a holiday atmosphere, with good food, lots of fun and the opportunity to meet new people, but with all the support needed to have a fantastic stay. Find out more about short term care options for you and your loved one by getting in touch with our team. We’re here to advise you and support you on all aspects of care, so call for a friendly chat today.